I have been driving the car since more than 8 months now. Although the car has been upto the mark in most of the things that a perfect hatchback should consist of, I am quite disappointed on some of the aspects. These consist of the suspension of the car, the gearbox not being as smooth as most of other cars from the same company. One more thing that breaks my heart is the fact that although even the car having all the required safety features the brakes are a little less effective and slow. The suspensions of the car have also disappointed me as they are not upto the mark and not so comfortable for long journeys. Having a good suspension is one of the features that I expected from this car as it is from a reliable and a successful company, it also bothers me that even after you give a good amount of money to own this car you do not get full satisfaction. The tragedy about this car is that it did not completely satisfy me after so much expenditure on it at the time when I bought it. The gearbox needed to be a bit smoother to make the ride more comfortable. The gearbox definitely needs more refinement. Having even a little rough gearshift can make the driving experience very annoying and uncomfortable for most of the people and I am not any exception. The roughness of the gearbox can deduct many points from a car when it comes to driving it. Tragically enough the brakes of the car also don’t do much in saving the grace of this car. I felt the brakes should have been made more powerful. A good braking system is an essential part of any car’s safety. The other safety features like the ABS, EBD and the airbags definitely come after the good braking system of the car. Also I am very much ashamed to talk about my car’s mileage. It just somehow manages to give 11 to 13 km per litre both in city and on highways. I mean just this much mileage? Haven’t the makers of this car ever heard of fuel economy? So less mileage only appreciates the number of problems this car has. Being very honest, the car has highly disappointed me in most of its aspects. I will not advice anyone to buy this car, unless he or she has tons of black money to waste. 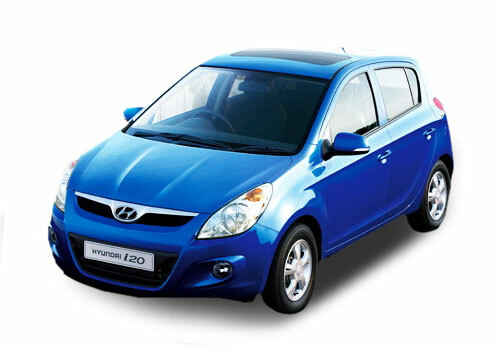 Hyundai i20 is great power and performance, premium features. hyundai i20 , is hurting me with a bad sound from front both sides when it falls on a pothole even at 10kmph speed,very disappointed,disgusting that the problem is not solved in the service center at silchar.the company is not giving attention to the customers.i bought this i20 sportz petrol on 24/09/2012 but very unsatisfied with the sevice after spending the huge budget.